Huge Dance Floor — One of World's Best! Students under 30 get $6 Admission! Gulfport Casino is one of the world's best ballrooms, offering up social dance excitement in a picturesque beachfront setting. 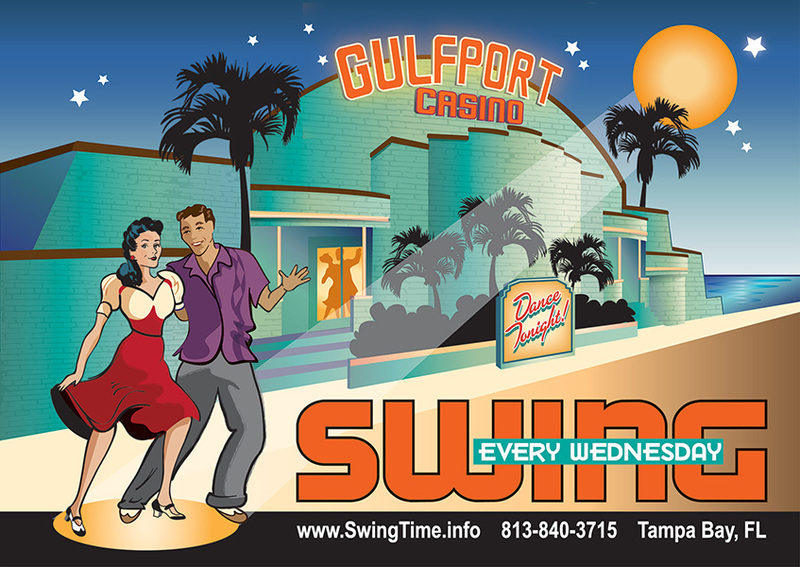 The Gulfport Casino Swing Night is one of the top swing dances in the U.S.A., attracting hundreds of dancers every Wednesday! The Gulfport Casino Ballroom is located in the St. Petersburg, Florida area at 5500 Shore Blvd. S., Gulfport, FL 33707.